GSAT-09 or SAS (South Asia Satellite) is the latest technological move by Prime Minister Narendra Modi for integrating South Asia, a resolve he had shown at the swearing in of his government by inviting all SAARC leaders, including Nawaz Sharif, Prime Minister of Pakistan. GSAT-9, the communications satellite put into orbit by ISRO on May 5 from Sriharikota is a 2,230-kg venture bringing on the same platform South Asian countries; India, Afghanistan, Bangladesh, Bhutan, Maldives, Nepal and Sri Lanka, Pakistan having opted out earlier. 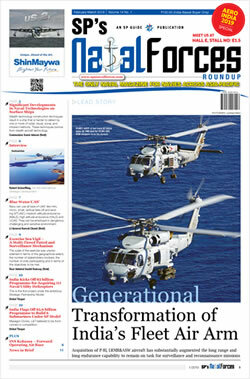 Operating in the Ku-Band, the 12 transponders of SAS offer a range of services including banking networks, weather forecast, telemedicine, disaster management, tele-education and broadcasting services such as television, DTH and the works. India will also aid participating nations in developing ground stations to access the data relayed by the satellite. 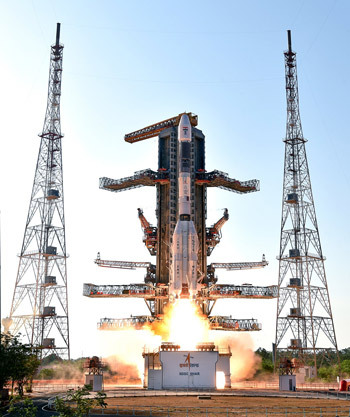 Ambassadors of all the six participating nations were invited to witness the lift-off of SAS from the Satish Dhawan Space Centre, Sriharkota given the geo-political value of the event. 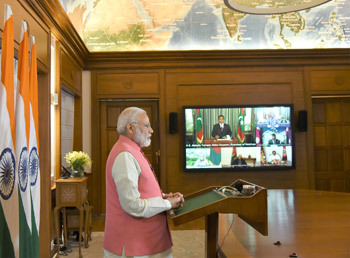 Speaking to leaders of the concerned nations (Afghan President Ashraf Ghani, Bhutan PM Tshering Tobgay, Nepal PM Pushpa Kamal Dahal Prachanda, Bangladesh PM Sheikh Hasina, Sri Lanka President Maithripala Sirisena and Maldives President Abdulla Yameen) through videoconferencing, PM Modi said that the launch of the SAS "demonstrates that our collective choices for our citizens will bring us together for cooperation, not conflict; development, not destruction; and prosperity, not poverty". Heads of the participating nations expressed happiness and enthusiasm at the video conference. SAS, first mooted in November 2014 as SAARC Satellite during the Kathmandu SAARX summit, till it was renamed after Pakistan pulled out, has been operationalized in quick time. Kudos are in order to the initiative and push by Prime Minister Modi, but equally to the Presidents / Prime Ministers of Afghanistan, Bangladesh, Bhutan, Maldives, Sri Lanka and Maldives for their foresight, spirit of integration and resolve for betterment of their nations and the region. While India has capitalized on its low-cost space technology (and why not), the venture without parallel in the world; as per BBC, no country ever has funded an entire space program itself and then 'gifted' the satellite services free of cost to other countries, as India has done. SAS became the first Indian spacecraft to carry an Electric Propulsion System (EPS), which can significantly reduce the fuel satellites need to carry, thus paving the way for development of future satellites that will be considerably lighter. SAS carried just 25% of chemical fuel it would have had to carry in the absence of EPS. This means the workload a 5,000-kg satellite can take can be achieved by a 3,500-3,700 kg satellite equipped with EPS. 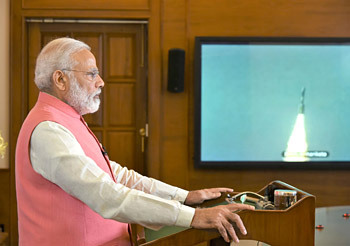 In his fortnightly radio address 'Mann Ki Baat' to the nation on May 7, PM Modi referring to the SAS said, "The capacities of this satellite and the facilities it provides will go a long way in addressing South Asia's economic and developmental priorities." No doubt SAS has geo-strategic importance but India is not looking at or countering China's strategy of 'string of pearls'. Pakistan besides her anti-India fixation, under Chinese influence, backed out from SAS. In fact, there is speculation that Pakistan may have tried to cyber attack launch of the satellite. There was also report of back channel diplomacy between PM Modi and Nawaz Sharif through Sajjan Jindal, which the Pakistan army did not want having been not taken into confidence by Nawaz Sharif. The recent heinous cross-border action of beheading soldiers of an LoC patrol by a Border Action Team (BAT) of Pakistani army was likely aimed at derailing any back channel and forcing postponement of launch of the SAS to embarrass India. Development and launch of Pakistan's satellites are with Chinese help. In 2018, Pakistan plans to launch a remote-sensing satellite into space; built by and China and launched from a Chinese launch pad. China has also been helping Sri Lanka and Bangladesh in their space program. China will launch Sri Lanka's second satellite during 2018. Strangely, Afghanistan has 'yet' to ratify using the free services of SAS, which may be a mere delay or under Chinese pressure, especially with China offering Afghanistan help to build and launch latter's second satellite Afghansat-2, which Afghanistan has accepted. Life of Afghansat-1, developed jointly by European company EADS and ISRO (launched by EADS), ends around mid 2020. SAS offers one or more transponders to Afghanistan but China has offered entire satellite (Afghansat-2) to Afghanistan, not free but perhaps at a discounted cost and long-term interest repayment plan. China also set up in 2005, Asia-Pacific Space Cooperation Organization (APSCO), with Bangladesh, Iran, Mongolia, Pakistan, Peru, Thailand and Turkey, to promote collaborative ventures. During 2017, Bangladesh will have its own 'Banglabandhu-1' communications satellite, built by Thales Alenia Space (joint Italian-French) venture. South Asian space is set for more activation and Chinese intent of exerting gravitational pull to bring South Asian countries more and more into her sphere of influence is reality. 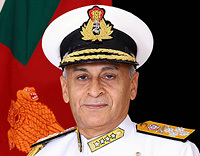 In addition to the SAS, India is working on other ventures like the Motor Vehicle Agreement between BIMSTEC (Bay of Bengal Initiative for Multi-Sectoral Technical and Economic Cooperation) states that aims at better regional connectivity between seven south Asian nations (except Pakistan). India has also offered to build satellite tracking station in Vietnam. One can only hope that Pakistan, though backed by China in its policy of state terrorism) at some point of time starts working towards integrated development of the region, rather than destabilizing it.